How to take proper care for your carpets, mats and area rugs? The carpet cleaning professional in Stockwell will tell you. Most people have a wall-to-wall carpets and doormats in their home, but as the years pass we began to lack time to clean them. Therefore people removed their big and hard to clean carpets and replaced them with hard-flooring, area rugs and small mats. This saves a lot of time and is cheaper to take it to a professional carpet cleaning company. Of course, most people prefer to manage it in their own way. The material area rugs, carpets and mats are made is the same, so you should treat them the same, so you can apply these tips to all. 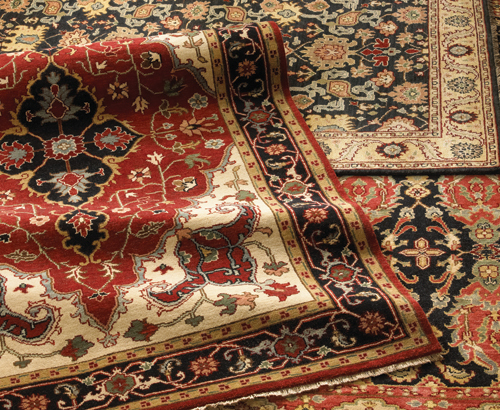 There are several basic things you need to do in order to keep your rugs in good shape and enjoy their colours longer. First and most important is to prevent dust and dirt build up with regular vacuuming. If they’re positioned in a high traffic area consider vacuuming them twice a week and don’t forget the backside. If you neglect this the grime will contribute to the wearing and you’ll have to replace your rug earlier which will lead to spending a great deal of money. Consider the material your mat is made from and use the appropriate attachment on the vacuum cleaner. If you have pets, the vacuum won’t be enough to remove all the hair, therefore you’ll have to use a brush and force the fir to the edge of the mat. In order to do this you’ll have to brush in one direction only and use a stiff brush. Another enemy of your rugs is the sunlight which causes fading and discolouration and since you can’t always keep your curtains dropped turn them around once a year so they may wear out evenly. If you have a small area rug it will be good to beat it every once in a while. That way you’ll remove the soil and dust the vacuum cleaner couldn’t. This was the basic care about a standard mixed fiber rug, now about cleaning. Before you start any cleaning procedure look at the labels because some rugs can be machine washable while others require dry cleaning, as for the third type you can use a steam carpet cleaner. This is very important so if you’re not sure ask a professional for advice. If you gave a green light for washing set it on delicate program with cold and put the rug into old pillowcase. This way you’ll protect the fibers from untangling and melting. Don’t hang your rug on the clothesline because they can loose their shape, better put them over some bricks or a worktable. If you have to deal with stains I recommend you purchase green detergents and always preform a spot test on an unseen area. Follow the instructions carefully, but use less of the cleaning solution that it says, because most times the stain is not that though. I recommend annually visit from carpet cleaning specialists because they can take proper care and apply protective coating.